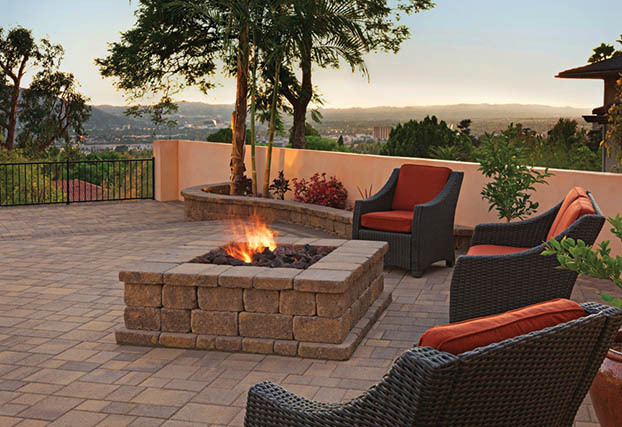 Founded in 1946, Angelus Block is California's leading producer of concrete masonry units, interlocking concrete pavers, permeable pavers, decorative site wall units, and segmental planter wall units. 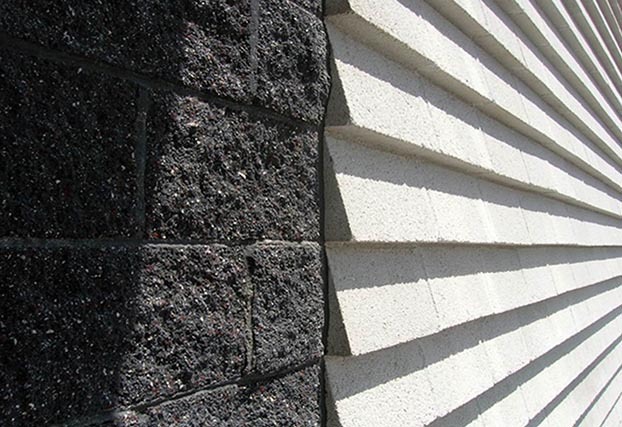 Angelus Block offers an enormous selection of cmu for every application: from high-end architectural masonry to utilitarian structural solutions. 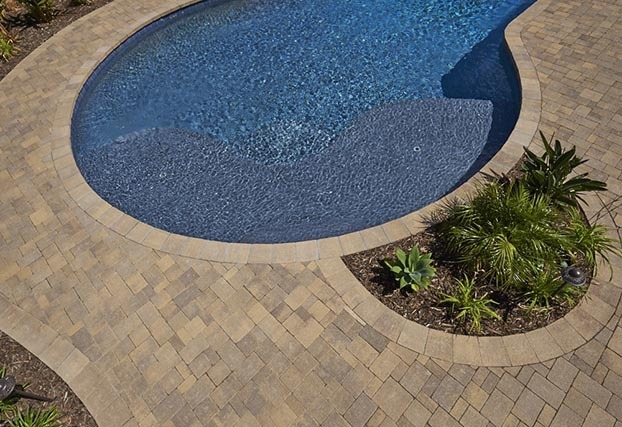 Angelus Block also produces a full range of pavers for every design theme, permeable pavers for runoff control, and units for decorative landscape walls. Explore the range of sizes, shapes, applications, and colors available, as well as supporting technical information. Split face concrete block installed for the Water Purification Facility, City of Oxnard, Mainstreet Architects and Planners. Residence in Corona with Slate Stone paving stones, 6x9, cream/brown/charcoal, herringbone pattern. 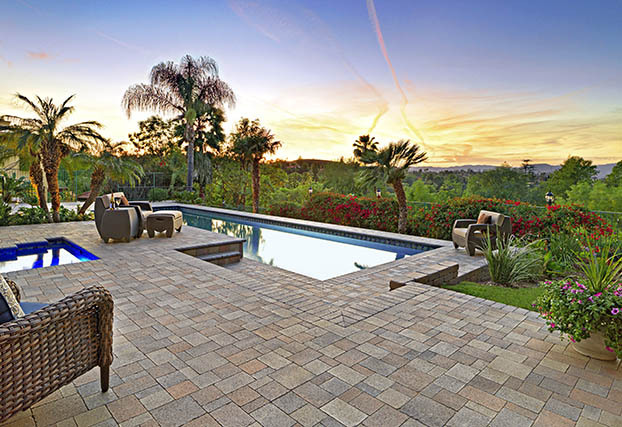 Residence in Burbank with Courtyard pavers in sand/stone/mocha, ashlar pattern and Stonewall II used for the firepit and planter wall. 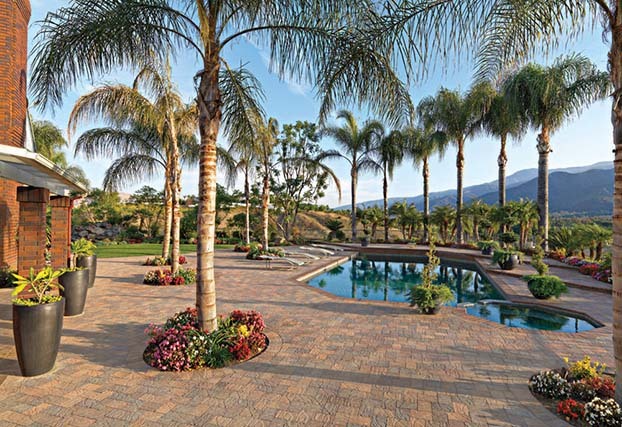 Residence in Northridge with Castle Cobble I and II concrete pavers in sand/stone/mocha, ashlar pattern. 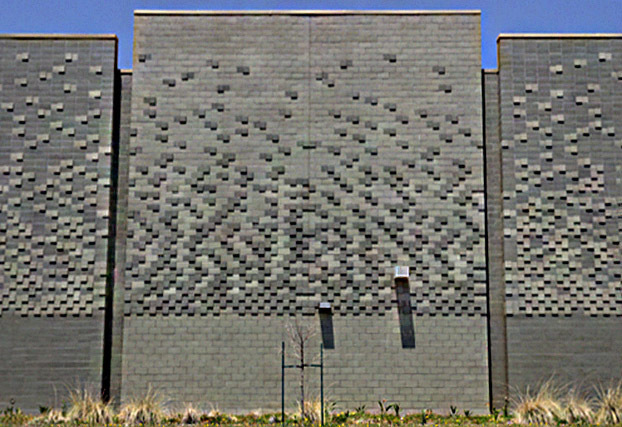 CMU was used extensively on South Region HS #9, LAUSD, Leo A Daly, Architect. 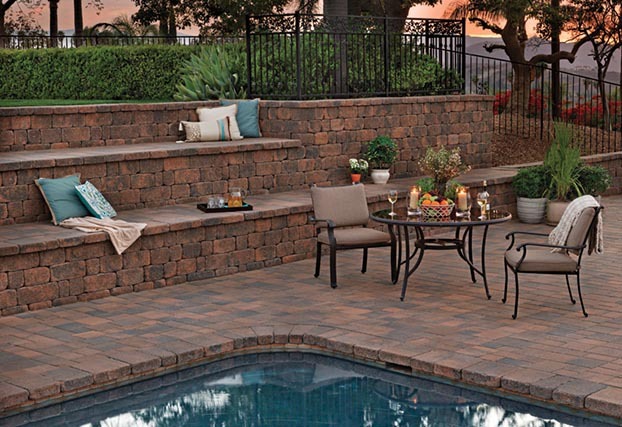 Residence in Riverside with Stonewall II cream/brown/charcoal retaining walls and Courtyard pavers in cream/brown/charcoal, ashlar pattern. Residence in Hidden Hills with Slate Stone Combo and Slate Stone Circle in gray/charcoal. 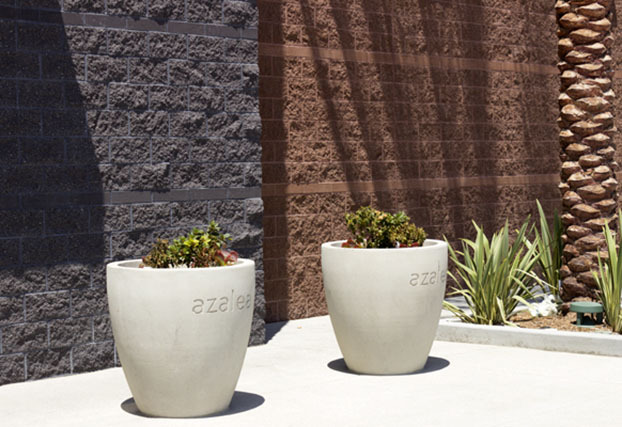 Split face CMU used on Azalea Shopping Center, South Gate, Nadel Architects. Residence in Los Angeles using Castle Cobble I and II in a mix of gray/moss/charcoal and cream/brown/charcoal. 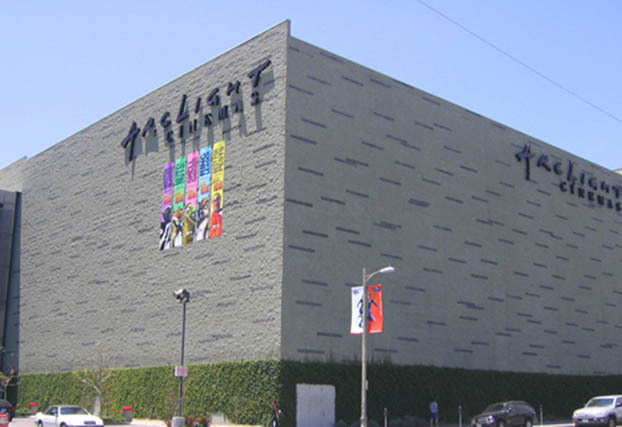 Spec Mix Type S Mortar in Midnight and White used on Split face and Sloped face CMU, LAPD Olympic Community Police Station, Gruen Associates. 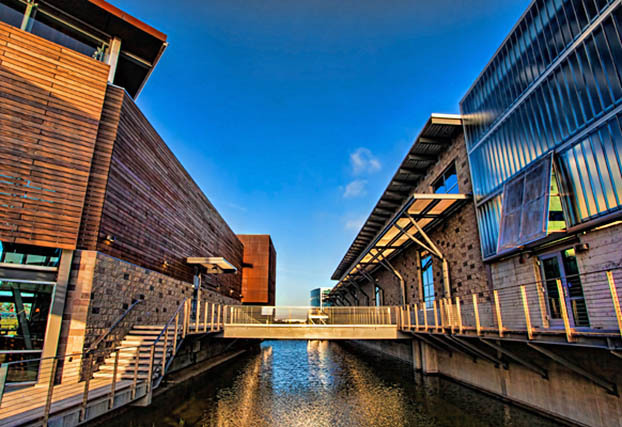 Split face CMU in Mint and Midnight, Arclight Theater, Gensler Associates. 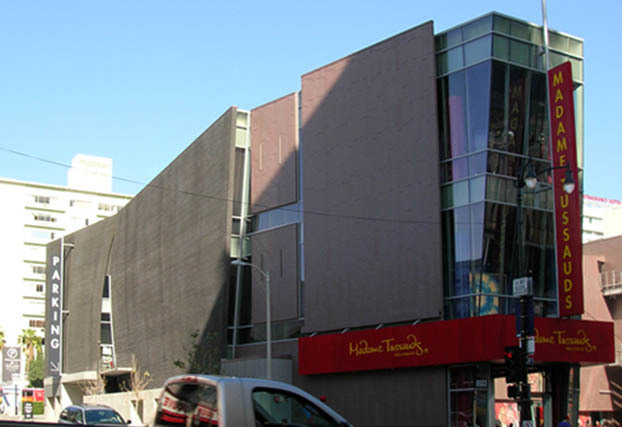 Curved CMU wall panels on Madame Tussauds, Hollywood, JAG Architects Studio. Angelus product lines have exceptional value in achieving that balance with natural, inherent qualities, combining multiple beneficial functions into single systems, while advancing life cycle and life safety programming. Visit www.AngelusBlock.com for detailed information.